How to get high PageRank for your blog or website? What are the benefits of PageRank? These are some important questions which is always revolve in the mind of every blogger and user. People desperately waiting for the Google PageRank updation, but this time Google will skip the PageRank. PageRank is must for every blog because it shows where your blog or site stand! We have to do every possible step to get this pagerank. This post is basically concerned about PageRank and why it necessary and how you get it? A pagerank is an algorithm which is used by the Google web search engine to rank websites in their search engine results. It was named after Larry Page, one of the founders of Google. 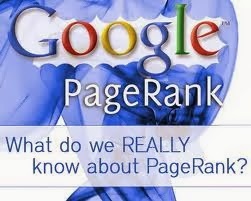 Bloggers concerned about PageRank- Why? There are various reasons why people and usually bloggers concerned about it. Some of the main aspects, i would like to share with you all. Hope you liked it. And if you have something different than you can share with us. I have seen many people says that pagerank is not important but this is not true. Pagerank is very much important for every blog. We have to try to get high pagerank. 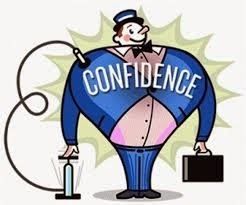 Google will only trust your website if it is popular among audience or getting huge traffic. So if your blog has pagerank than the articles will shown on the first pages of SERP. When you build your website and doesn't get huge traffic than do not need to worry, firstly it happens with everyone. Try to write post regularly and try to get the pagerank. Once you get an pagerank than automatically it will boost your self confidence and also build motivation power inside you. If your blog or website having an high pagerank than it attracts most of the advertisers. Also automatically it will boost your income. Always remember that a blog or website is the first impression of any blogger, so try to increase the popularity of your blog. The more your blog is famous, the more advertisers trust on your blog. Remember the only thing the advertisers can see is your PR (PageRank) and Alexa Rank.